You are currently browsing the tag archive for the ‘cornetto’ tag. Both the Dodo (the bird) and the cornetto (the instrument) suffered extinction toward the end of the seventeenth century. 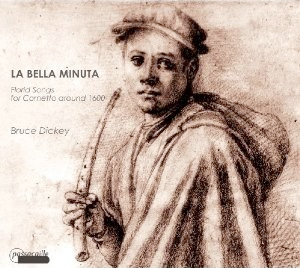 By 1665, humans and their domestic animals had hunted down all the Dodos on Mauritius, while changes in musical taste spelled the end of the Cornetto, according to virtuoso cornettist Bruce Dickey, whose wonderful new Passacaille CD, La Bella Minuta, preserves the florid, vocalistic repertoire of that instrument’s golden age just as vividly as Lewis Carroll kept the idea of the Dodo alive in Alice’s Adventures in Wonderland.